TO keep the human engine running there must be present a fuel supply which can be burned. If the fuel supply becomes exhausted the engine stops running; the person dies of starvation. To prevent this catastrophe people commonly supply the body with fuel by eating several times a day. But as such an intake of suitable food is not always possible, the body has provided for shorter and longer periods during which no food may be had, or during which the food to be had may be poor in fuel values. Provision has been made for fuel storage. And even as Jupiter rules both finances and bankers who take care of people’s money reserves, so Jupiter also rules both the chief fuel reserve, fat, and the hormone which stores the more readily available form of fuel. Venus, through its natural second house rulership, has some significance relative to cash; and Venus rules the carbohydrates—the sugars and starches—which are the most economical and readily used fuels. These carbohydrates become simple sugar, monosaccharides, chiefly glucose, in the process of digestion. As such they are soluble and carried in the blood to the tissues to be burned as fuel. Being soluble they cannot be stored as simple sugars, but any not immediately used, if not converted into some other non-soluble substance, is carried out of the body in the urine. The blood, to remain healthy, must contain about 1 part in 1,000 of the simple sugars. Under the influence of the Jupiter hormone, insulin, normally some of the simple sugar in the blood is converted into animal starch, called glycogen, and stored in small amounts in the muscles and other active tissues, and specifically in the liver, ruled by Jupiter, that is the emergency bank. The amount of deposits which the emergency bank can handle is limited, and for more permanent, but less available reserve, some of the sugar of the blood combines with fatty acids to produce fat. Fat also is ruled by Jupiter, and when the fat of foods is digested the fatty acids and glycerol into which it has been split, shortly recombine to form tiny globules of fat which are carried by the bloodstream to various parts of the body where together with the fat particles manufactured from the simple sugars, they enter into the formation of the regular reserve fuel supply by becoming fatty tissue. The pancreas, which in animals usually is called sweetbreads, is an elongated gland having a head, a neck, a body and a tail. The head is tucked into the loop formed by the duodenum, while the body stretches across the abdomen in front of the aorta and behind the stomach, so that the tail come into contact with the spleen. Most of the tissue of this gland has the function of manufacturing the pancreatic juice which is so essential to digestion. It has a main duct which pours the pancreatic juice into the bowels. We here, however, are not concerned with the function of this duct, but with a little collection of cells throughout the pancreatic tissue, known as the islets of Langerhans. It is the function of these islands to produce the Jupiter hormone, called insulin, which is necessary not merely to store sugar up as glycogen, but also to burn it as fuel. Protein, the non-fatty tissue of the body, affords a third and final fuel reserve which can be used, but its extensive use for fuel is both costly and unsatisfactory. And even fat cannot be burned without clogging the bloodstream unless there is sugar to burn with it, and some insulin to assist the sugar and fat combustion. And as the immediate intake of sugars and starches may not be sufficient to provide for this, they are converted into glycogen through the action of insulin. Because sugar is the most economical fuel supply, in regard to its ready conversion into energy, it might be thought that a high sugar consumption is to be recommended to all and sundry. People, however, vary markedly, according to the thought-cell activity mapped in their birth charts and their corresponding body chemistry, in their ability to handle sugar. Cane sugar, which is the common refined variety is sucrose, a disaccharide which to be handled properly in the bloodstream must be converted into the monosaccharides glucose and fructose. Neither saliva nor the gastric juice is capable of this conversion. It must be done by the hydrochloric acid of the stomach, or by the sucrose of the intestinal juice. And if Venus is heavily afflicted, with the thyroxin supply adversely afflicted, this conversion may be incomplete, and place an unusual strain upon the insulin in the endeavor to handle. Those who thus have difficulty in the proper conversion of cane sugar and pastries, often find they can partake of ample sweet in the form of fructose, the sugar of fruits and honey. Fructose constitutes about half the solid matter of honey. The sugar of milk is a disaccharide, which must be converted into galactose in the process of digestion; but some stomachs do this readily which do not handle starch and cane sugar so well. Galactose is a monosaccharide which is readily utilized for the production of glycogen. And glucose—dextrose, grape sugar, corn sugar, starch sugar, diabetic sugar—is most easily handled and readily converted into glycogen through the action of insulin. Insulin is the hormone which handles the sugar of the system. It acts as the teller of the bank, storing it up when there is an excess, and returning it to circulation on the demand of the other glands. Sugar and fat are the standard currencies of the body, protein being subject to very limited use. And blood sugar, or glucose, from the carbohydrates, is the kind of currency easily available. The more sugar is taken in the diet the more insulin there must be to handle it properly. And the more fat there is in the diet the more insulin there should be, because it requires sugar to burn fat and because insulin helps in the combustion of both. This means that the consumption of too rich foods places an undue strain upon the body banking system. The glands which chiefly govern currency withdrawals are the thyroid gland and the adrenals. Under optimal conditions there is a very nice balance between thyroxin, secreted by the thyroid gland and responding to the thought-cell activity mapped by Sun and Venus, and insulin, secreted by the pancreas and responding to the thought cells mapped by Jupiter. Also a very fine balance between adrenaline, secreted by the adrenal glands, and responding to the thought-cell activity mapped by Mars and Saturn, and insulin. 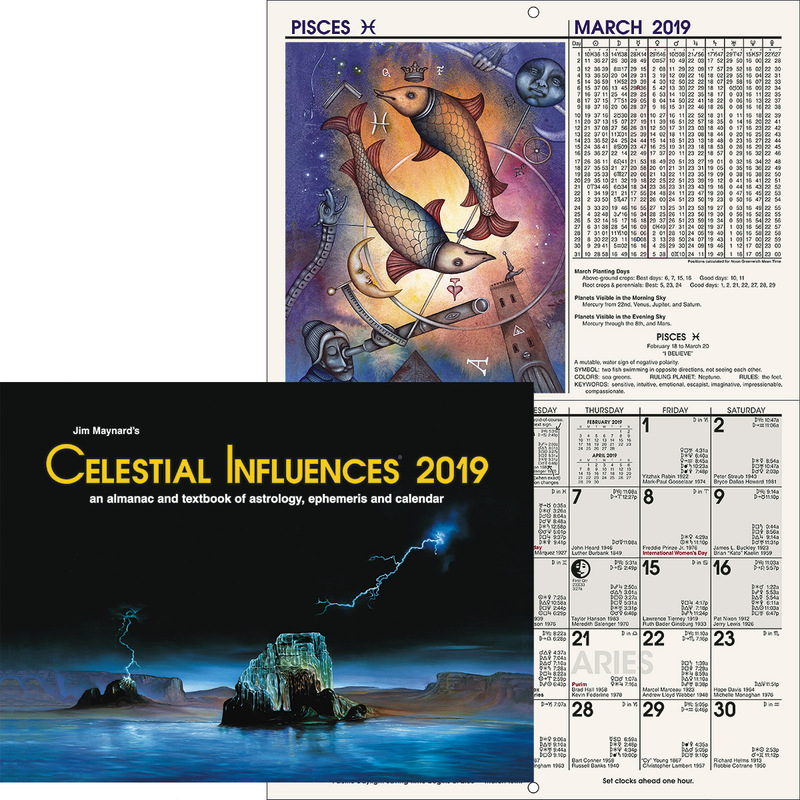 Heavy afflictions to any of these planets in the chart of birth may indicate sufficiently discordant thought-cell activity that the over or underproduction of one of these three hormones tends to upset this balance. In this manner a PREDISPOSITION is indicated. Then when a progressed aspect involving one of these planets occurs, adding energy to the thought cells to which one of these three glands respond, the production of its hormone may be sufficiently influenced that the health is pronouncedly affected. If, for instance, under a progressed affliction involving the Sun or Venus and Mars or Uranus the thyroid becomes too active, the excessive secretion of thyroxin, which tends to counteract the storing action of insulin, may cause an excessive consumption of fuel and tend to wear down the insulin supply. Such an overactive thyroid uses up the reserve supply of glycogen in the bank, and permits insulin to make no new deposits in the liver. This leads to a shortage of cash with which to carry on the business of the body. On the other hand, under a progressed affliction involving the Sun or Venus with Saturn or Neptune the thyroid may become sluggish while the insulin secreting gland continues active. In such an instance, glycogen is stored in the liver and tissues, and fat accumulated, resulting in obesity. The bank then becomes an institution devoted to hoarding, where cash is deposited but cannot be withdrawn. Such fats as are withdrawn fail to oxidize completely, fail to become satisfactory legal tender, because the sugar necessary to burn with them is not available. This causes excess acidity of the blood, and the individual, if the case is extreme, yawns and sighs and appears bored and lazy and stupid; because the fuels within his body are merely smoldering. A somewhat similar condition, with low resistance to infection, may arise from inactive, weak, or worn-out adrenal glands. Adrenaline assists in the quick mobilization of sugar for emergency purposes. That is, it overcomes the action of insulin and causes the liver to release it. And it promotes rapid combustion of the sugar thus released. When there is not enough adrenaline to counteract the hoarding tendency of insulin, the person is easily fatigued, has no reserve power, is mentally unstable, and tends to be nervous. Yet, under the influence of too active and discordant Mars or Saturn thought cells, or the emotions ruled by either Mars or Saturn, if the adrenaline secreted becomes excessive, it wears down the resistance of insulin to the withdrawal of funds. The individual then becomes weakened, not because he has an excess of fuel which he cannot use, but because he has become a spendthrift and does not retain enough fuel in his system to produce the required energy. The sugars, especially, are neither stored nor retained in the blood. Instead of being converted, through the action of Jupiterian insulin, into glycogen, or transformed into fat, they remain simple sugar, which is soluble, and passes from the body before there has been opportunity to burn it. Because the thought-cell activities of so many planets are involved in maintaining a proper balance between thyroxin and adrenaline on the one hand and insulin on the other, no widely applicable rules can be laid down as to the amount and kind of carbohydrates (sugars and starches, ruled by Venus) which should be contained in the food in proportion to the amount of fats. Some people, with a well aspected and not too prominent Jupiter, have a strong enough insulin supply that they can handle even large quantities of white cane sugar and pastries made with it. Other people, especially those with Jupiter prominent and severely afflicted, find even the sugars contained in fruits and vegetables hard to handle, and that a diet high in fat, with just enough of the sugar producing foods to burn the fat, is more satisfactory. Some fat, either from animal or vegetable sources, is a necessity in every diet. But certain people handle fat poorly, and find the sugar producing foods more satisfactory. Those with a tendency to psoriasis, in which unsightly and itching scales form on the body, may have to reduce the fat in their food to the minimum. And it should not be lost sight of that when the tissues are supplied with more fats than they can burn, that this fat is stored. Furthermore, there is good evidence that a high-fat diet is related to hardening of the arteries. Were there not several glands and a number of planets involved—Venus and the thyroid, and an upper-octave planet and the parathyroids, in the production of eczema, for instance, which is responsive to such foods—it might be possible to indicate from the chart of birth and progressed aspects the relative proportion of starch and sugar foods to fats that the individual diet should contain. As it is, taking planetary positions as indicating tendencies to glandular activities of a certain kind, we also need to gain information from experience. Experience commonly tells people about how well they handle sugar, how well they handle certain starch foods, and how well they handle fats and oils. Yet in addition to such experience it should be borne in mind that whenever there is a progressed aspect afflicting the planet Jupiter a tendency is present to upset the balance between insulin, which it rules, and other hormones. Consequently, irrespective of past experience, during such a period, that this imbalance may not be aggravated, but that proper balance may be restored, the sugar and fat content of the diet should be carefully watched. A prominent Jupiter in the birth chart, especially if afflicted, tends toward eating too much food or too rich foods. And a progressed affliction involving Jupiter increases this tendency. Yet even when the diet is rather restricted as to the quantity, there may be an oversupply of sugar, or an oversupply of fats. The liver, which is the chief storehouse of glycogen, may easily be overworked at such a time, or fats may become too abundant, with a tendency to take on undue weight and develop the Jupiter type of acidosis. 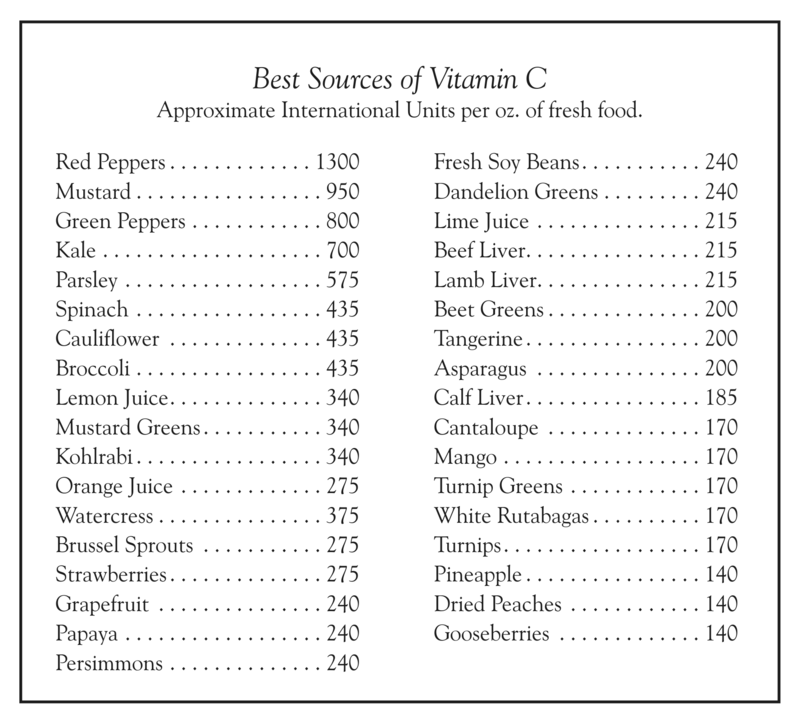 In Chapter 3 (Serial Lesson 153), Course XIV, Occultism Applied—“Diet and Breathing”—I have pointed out that for health it is necessary that the bloodstream should be kept slightly alkaline, and on pages 66 and 67 of that chapter tables are given indicating which of the foods tend to give the bloodstream an acid reaction, and which, through the alkaline residue they leave tend to overcome the acid condition and restore the favorable alkaline balance. The mineral salts in the foods which tend to neutralize the acid-forming elements in other foods and the acid toxins are ruled by Saturn. When Saturn is afflicted the usual tendency is toward a deficiency of these mineral salts in the food and the formation of what may be called a deficiency acidosis. It should be apparent, however, that regardless of the amount of alkali-forming mineral salts in the food, if the bloodstream contains enough of the acid-forming elements it will continue acid. When the acidosis is the result not of alkali-forming salts, but of too great abundance of the acid-forming elements, we can call it repletion acidosis. The eating of too rich foods and too much fat tends to load the bloodstream with such excess, and when not enough sugar is burned in the combustion of fat as fuel, the fat is not completely burned, and the diacetic and other fatty acids are liberated in the blood stream. Such repletion acidosis is called ketosis, and is the type which tends to develop under the activity of the Jupiter thought cells when this planet is prominent and afflicted. To the extent active and discordant Jupiter thought cells influence the health adversely, the difficulty is chiefly caused by too great an abundance of food or food too rich or greasy for the system to handle, or by an imbalance between insulin and the other hormones, or by all of these. As Jupiter rules the arterial blood, an impure blood stream may result; and as it rules the liver, there may be difficulty with the liver or the pancreatic gland and the secretion of insulin. When insulin, ruled by Jupiter, is no longer produced, sugar and starch cannot be used as fuel by the body, and diabetes results. Before the hormone insulin was isolated from animal pancreas in 1922, diabetic patients were doomed to coma or starvation. Now commercially prepared insulin obtained from animal pancreas enables 300,000 diabetics in the United States to lead lives not far from normal. For the liver to perform its functions normally, and for the proper production of insulin by the islets of Langerhans, there must be sufficient sulphur. 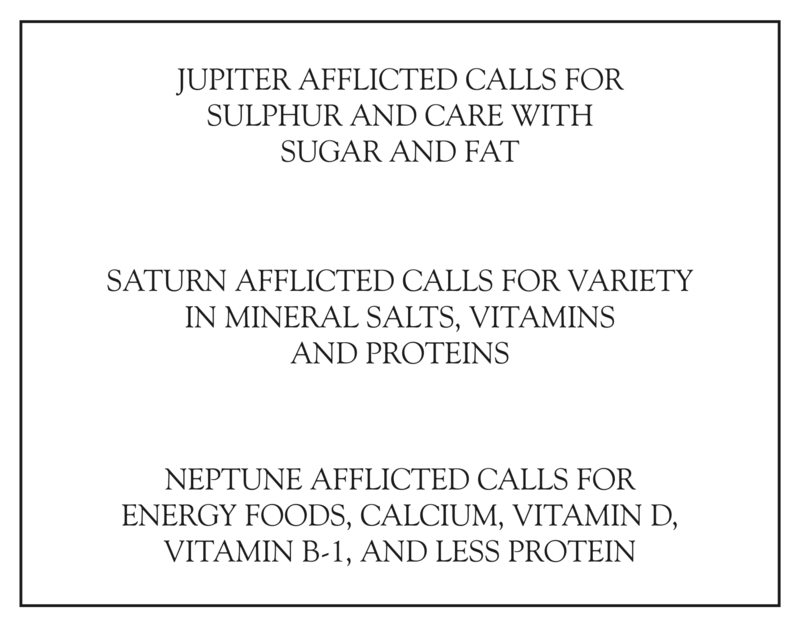 When Jupiter is afflicted, and particularly during the time there is also a progressed affliction involving Jupiter, the food should contain an abundance of sulphur. 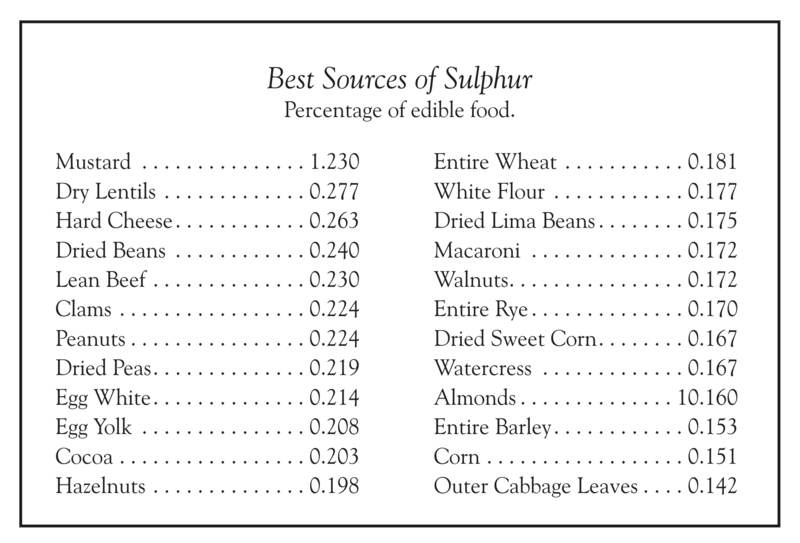 The table on page indicates the best food sources of sulphur. When Jupiter is afflicted the diet should be rich in sulphur, the individual should abstain from rich food and from eating too much, and care should be used as to the amount and proportion of sugar and fat in the diet. But all that can be done with food is to afford optimum facilities of work for the glands and other functions. No amount of thinking will precipitate sulphur. It must be present in the food. But no amount of sulphur, no lack of rich foods, and no care with sugar and fat will maintain health when Jupiter is heavily afflicted by progression if the Jupiter thought-cell activity remains vigorously discordant. Just as there is nothing better to counteract too active or discordant Uranus or Mercury thought-cell activity than harmonious Jupiter thinking, so there is nothing better to counteract discordant Jupiter thought-cell activity than harmonious Mercury thoughts. They are the natural antidotes. To apply them thus, pleasure should be cultivated in an intellectual appraisal of events and conditions, as opposed to an emotional or impulsive reaction. Pleasure should be cultivated in learning the best diet requirements, and in resisting the appetite for other foods. Pleasure should be cultivated in discrimination in all affairs of life, and in resisting impulse. 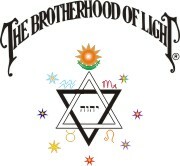 The thought elements thus created will, because they are deliberately cultivated to offset the discords of Jupiter thought-cell activity, enter into combination with the Jupiter thought elements to create more harmonious thought cells. And these in turn will tend toward normal secretion of insulin. Insulin exhaustion, while aided by discordant Jupiter thought-cell activity, is usually due also to the action of discordant Saturn thought cells or discordant Mars thought cells, which causes excessive secretion of adrenaline, or to the action of discordant Sun thought cells or discordant Venus thought cells which induces excessive secretion of thyroxin. These hormones, which respond to emotions or exhaustion, counteract the power of insulin, and if too freely present in the bloodstream, especially if an afflicted Jupiter gives weak insulin secreting power, may wear out this insulin secreting power of the islets of Langerhans. All organisms on earth since the first life on this planet have been subject to attempted invasion by foes. Every life form that survives in a physical body has developed some means by which it gets away from its enemies or by which it defeats them. The fleetness of the hare and the spines of the cactus have been developed thus. Even the human infant, only a day or two old, exhibits both of these traits. When restrained in its movements at first it tries to get away, but not succeeding in this, it shows unmistakable signs of anger. And its early success in one of these endeavors often conditions its after life, whether it will try to overcome, or will run away from, the difficulties it meets. I point out this close relation between running away and fighting because the running away impulse is ruled by Saturn and the fighting impulse is ruled by Mars, and at first thought it would seem that they were functions that must be controlled by entirely different processes of the body. And so they are; for whether the habitual reaction is to be combat or flight is determined by the strength of the cortin supply ruled by Mars and in less degree by Pluto, and the front pituitary hormone ruled by the Sun. Yet either to run away successfully or to fight successfully requires energy and coordination. The amount of energy that can at once be mobilized into running away, when the enemy is too powerful to be destroyed, determines the chance of survival. But if the enemy is to be destroyed, the amount of energy that can be mobilized for combat determines the chances of survival. Thus both the thought-cell activity mapped by Saturn and the thought-cell activity mapped by Mars require similar abundant energies to carry out their purpose. And to control this mobilization of emergency energy the adrenal glands have been developed. The adrenal glands are two small bodies, each of which sits like a cocked hat astride one of the kidneys. Each also is double, consisting of a cortex, or outside covering, and a medulla. Cortin, the secretion of the cortex, also responds to the activity of the Mars thought cells, and somewhat to the activity of the Pluto thought cells. But it is with adrenaline, the secretion of the medulla, or inner portion, that we are here concerned, because it most violently opposes the action of insulin. Before fuel can be released it first must be stored through the action of insulin. Under the humdrum conditions of everyday life, and even under the influence of affection and the less strenuous activities, sufficient release is afforded by thyroxin, the hormone of energy production from the thyroid gland. But in situations of peril there is need for great quantities of immediately available fuel for fighting or for flight, or when the stress of pain or intense or prolonged exertion must be met. For this purpose adrenaline is released in response to fear, anger, powerful emotional excitement, intense pain and prolonged and strenuous exertion. Mars is the planet of fight, and Saturn is the planet of flight. Both Mars and Saturn are involved in prolonged strenuous exertion, and one or both in the stress of pain. And adrenaline, which is the hormone of emergency energy, is released by the thought-cell activity of either Mars or Saturn. When adrenaline enters the bloodstream it causes the liver to discharge its stored sugar into the blood and the activities of the alimentary canal to cease. This means that people who worry tend to impair digestion and assimilation; for worry is a mild but chronic state of fear which releases at least small amounts of adrenaline. And it means that people who are recurrently irritated tend to impair digestion and assimilation; for irritation is a mild state of anger which releases at least a small amount of adrenaline. Adrenaline draws the blood and electrical energy away from the digestive and assimilative functions to be used for emergency purposes; and food cannot be properly handled while the blood and electrical energy are thus diverted. Intense pain, overwork, or emotional excitement of any kind releases adrenaline; and as a consequence people in much pain, people who overwork, and people who are in a recurrent state of emotional excitement of any kind tend to have difficulty with digestion and assimilation, because the blood and electrical energy required for the proper handling of food has been moved to other parts of the body for the purpose of meeting real or imaginary emergency. Adrenal glands take it for granted the brain knows when there is an emergency, and they do not question whether the emotion to which they respond is based on fact or fiction. Other than drawing great quantities of sugar into the blood and causing the activities of the alimentary canal to cease, adrenaline causes the skin to become moist and greasy, the hair to stand on end, the pupils to dilate, and more blood to be squeezed from the blood lakes of the liver and spleen. These reactions helped our evolutionary ancestors when they fought, or when they sought to escape from a too powerful foe. And to mitigate the danger arising from wounds inflicted in struggle, adrenaline neutralizes toxins in the blood and causes the blood to clot more readily. Either an animal or a person wounded while in a passion or under stress of excitement has a much better chance of recovery than if accidentally wounded when not so aroused. From the action of adrenaline also comes the athlete’s second wind by which, after he has reached a state of exhaustion, he suddenly becomes refreshed and apparently possessed of more energy than he had at the start. Exhaustion brought on by great exertion is an emergency, and to meet the demand for more energy adrenaline releases a new supply of fuel from the liver into the blood. This restores the original tone of the nerves and muscles, and reinforces the activity of the brain. The adrenaline also operates to neutralize the lactic acid released into the blood during exertion, and the other toxins which contribute to fatigue. Thus is the whole system refueled and refreshed. The adrenal glands have been conditioned to give their characteristic response when the mind thinks certain thoughts. It is the function of the mind to perceive whether or not there is an emergency; for the glands are unable to analyze the situation. It is their function to respond in a certain way whenever the impulse comes through from the objective consciousness or from the unconscious mind that a “fight or flight” situation is present. When Mars is afflicted in the birth chart, and especially during such periods as there is a progressed aspect involving Mars giving new energy to the thought cells mapped by Mars, there is a strong tendency toward anger, irritation and a feeling of haste which not only places a strain on the adrenal glands but on the insulin secreting powers which adrenaline tends to neutralize. A jazz environment, and emotional excitement tend to call out emergency fuel in much the same way and thus weaken the insulin secreting powers through increasing the supply of thyroxin in the blood stream. Work that can be done at all usually can be done better without prolonged strain, even as the athlete permits his muscles to be quite relaxed until the moment they are called into use. And a prodigious amount of work, either physical or mental, may be accomplished every day, one day after another, without impairing the health if there is freedom from the mental states which cause excessive secretion of the hormones. When Saturn is afflicted in the birth chart, and especially during such periods as there is a progressed aspect involving Saturn giving new energy to the thought cells mapped by Saturn, not only are there tendencies to overwork, but tendencies toward anxiety and worry. These are fear emotions. They are the fear that some situation will not be adequately met. That is, some situation is actually present and, because there is a fear that it will not be handled in just the proper way, or that it will cause defeat, the mind dwells on it, and over and over again goes over the detail of it. Such a problem, of course, should be thought all the way through to the best possible solution. But when the mind having thus thought it over cannot release the thought of it there is indicated a lack of confidence and consequently a fear element. Such worry tends to secrete adrenaline into the blood. People even get into the mental condition under discordant thought-cell activity that they are in a state of anxiety when confronted by no serious problem. Such chronic anxiety, which is fear that some situation is going to appear which they cannot adequately handle, causes a constant small drain upon the adrenaline supply. When through worry and anxiety in response to discordant Saturn thought-cell activity, or through. irritation and the feeling of being rushed in response to discordant Mars thought-cell activity, and excessive strain is placed upon the adrenal glands, this may lead to exhaustion of the adrenaline supply with a consequent lowering of the ability to resist infection. Or, especially if Jupiter is heavily afflicted, the adrenaline supply may hold out longer than the insulin supply which it tends to overcome. In this case the liver is unable to retain or store sugar, and diabetes results. Of the many charts in The Church of Light files of those who have had diabetes, not only is Jupiter prominent and afflicted, but Saturn also. And at the time the disease developed there was a progressed aspect involving either Jupiter or Saturn, and frequently a progressed aspect involving each. This means that worry or strain, causing adrenaline to be secreted, is the more common immediate condition which enables the weakness of the islets of Langerhans indicated by the afflicted Jupiter to create difficulty. Yet not only may insulin depletion result from either weak islets of Langerhans, as indicated by afflictions involving Jupiter, or too copious adrenaline secretion, as indicated by afflictions involving Saturn or Mars, but acidosis may be either of the Jupiter type or the Saturn type. The afflictions due to discordant Jupiter thought-cell activity are always accomplished through overabundance of something. The overabundance of incompletely burned fuels in the bloodstream gives rise to repletion acidosis, called ketosis. The afflictions due to discordant Saturn thought-cell activity are always accomplished through lack of something. The lack of mineral salts with which to neutralize the lactic acid and acid toxins in the bloodstream gives rise to the deficiency type of acidosis. 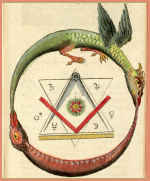 In Chapter 3 (Serial Lesson 153), Course XIV, Occultism Applied, I have stressed the importance of keeping the bloodstream slightly alkaline through providing ample of the mineral salts in the foods; and that when Saturn is afflicted the usual tendency is toward their deficiency. But in addition to preventing the deficiency type of acidosis, the mineral salts perform other important functions in the body’s economy, and all the essential ones should be provided in the food. The vitality and the vitamins are ruled by the Sun. And the tendency of discordant Saturn thought-cell activity is to lower the vitality through depriving the system of some of the vitamins. In this manner they oppose the harmonious functioning of the Sun thought cells. When Saturn is afflicted, therefore, special attention should be paid to acquiring not one, but all the essential vitamins in the food. The red corpuscles of the blood, the muscles, and the cortin hormone which promotes daring and courage are ruled by Mars. The tendency of discordant Saturn thought-cell activity is to weaken the action of these through depriving them of sufficient variety of the proteins. The proteins which form the structural material of all the cells are built up of some 20 amino acids in various combinations. But the human body is not capable of building the various necessary proteins out of certain protein foods. To perform its essential protein building the foods must contain four different amino acids; and all of them are seldom present in any single protein food. Thus when Saturn is afflicted attention should be paid to acquiring a wide variety of proteins. The influence of discordant Saturn thought cells is not necessarily toward a diet too frugal in quantity, but toward a diet too narrow to supply the vitamins, the mineral salts and the proteins necessary for vitality, strength and health. When Saturn is afflicted, especially during the time there is a discordant progressed aspect involving Saturn, the individual should seek balance and variety in his foods, thus insuring that none of the vitamins, mineral salts or essential proteins are lacking in his diet. Saturn thoughts are heavy and laborious, and their natural antidotes are the light, artistic, social and cheerful thoughts ruled by Venus. Pleasant social contacts, musical entertainment, or artistic trends should be cultivated with the object of getting as much cheer, amusement and pleasant emotion as possible out of them. And if they are cultivated for the definite purpose of neutralizing the discords of the Saturn thought cells, these Venus thoughts will be added by this mental association to those thought cells and enter into a more harmonious compound with the Saturn thought elements. The resulting thought-cell activity will then prove more fortunate. However, Venus thoughts are not vigorous and positive, but tend to be negative; and one of the chief difficulties arising from Saturn thoughts is due to their encouraging negative tendencies. To overcome the negativeness not only due to Saturn thought-cell activity, but which is common also when the Moon thought cells, Venus thought cells, Neptune thought cells or Pluto thought cells become too active, it is necessary to insure that the energies flow outwardly, instead of permitting the outside condition to cause the flow to be in upon the self. When the Moon thought cells are involved, or those of Pluto, the best thoughts for this purpose are those ruled by Mars. But for Venus, Saturn and Neptune negativeness it is better to employ the Sun thoughts and maintain a feeling that the energies of the mind and body are slightly pressing outward while holding thoughts of power, vitality and self-respect. The brain cells generate electrical charges which make it positive to the rest of the body; the liver being the opposite pole, carrying the strongest negative charges. Fear, worry, grief or other negative thoughts decrease this electrical difference between the brain and liver, which means they lower the vitality; for vitality depends upon the electrical difference. The attitude of confidence that any situation which may arise will be competently handled, that there is power to overcome any difficulty that may be present through constructive effort, and that one is significant in the general scheme of things, when deliberately cultivated to neutralize discordant Saturn thought-cell activity tends to overcome negative tendencies which otherwise they encourage. It is well enough to advise others not to harbor fear, not to worry, not to permit anxiety or thoughts of grief, sorrow or despondency. And it is well enough to say that whenever these thoughts or emotions begin to intrude they should be displaced with thoughts of gaiety, with music, and with thoughts of courage and self-esteem, and with actions in which significance is attained through being of service to the community. But actually to do this requires that the thoughts and emotions it is desirable to entertain shall be furnished with a higher electrical potential than the negative thoughts they are to displace. And this requires not only the cultivation of new thought habit systems, but the maintenance of an electrical potential at the command of the brain high enough to overcome competing electrical currents. When the body is exhausted this is difficult, and may be impossible. Too strenuous physical work may result in such exhaustion, or too much mental work even of a constructive kind. Too intense or prolonged an emotional state brings electrical exhaustion, even if it is the most pleasurable of emotions; and worry, fear, anger and other discordant emotions quickly use up electrical energies, as does shock of any kind, pain, or loss of sleep, or undue exposure to heat or cold. Such depletion should be avoided as much as possible during periods when Saturn is heavily afflicted by progressed aspects. Thoughts of discouragement, grief, pity for oneself, or the feeling of inadequacy, inferiority or want also lower the electrical potential; and should not be permitted entrance to the mind. Should one of these undesirables sneak into the mind, as soon as its presence is recognized it should be violently ousted by turning the attention vigorously to some buoyant and constructive thought, particularly of the Venus or Sun type. And whether exhausted or not, to gain the potential to oust the invader and hold the desired thought, the nerves should be slightly tensed, and the person should become a little more alert and determined to raise the potential, holding the feeling of radiating slightly and acquiring the necessary electrical power. Such instant and effective command of an electrical potential sufficient to repel undesired thoughts usually comes only with considerable practice. If there is a special extrasensory gland it is the small cone-shaped one located in a tiny cave at the base of the brain, behind and above the large pituitary. This pineal gland is the remnant of a third eye, which was an important organ in certain animal ancestors, and still exists with but a transparent scale over it in our common horned lizard. Its secretion seems to respond with equal alacrity to the thought-cell activity mapped by either Neptune or Pluto; but as the Pluto thought cells may also influence a front pituitary hormone which stimulates the gonads and the secretion of cortin, the condition induced by Pluto may be either similar to that induced by Neptune in its negative sensitiveness, or if cortin is secreted it may be decidedly positive. And in any case, due to the other hormones in some measure involved, the electrical condition induced by Pluto gives off radiations of shorter wavelengths and vastly more power. The action of the pineal hormone is similar to that of the thymus hormone in that it prevents precocious maturity, and when overly active the adult continues childish in his attitude toward life, seeking the line of least resistance, and resorting to daydreams instead of facing the hard realities. It operates to counteract and suppress the action of both adrenaline and cortin, the latter keeping the individual positive and aggressive, and it greatly stimulates the imagination. When too active the individual finds difficulty in distinguishing between the facts of outer-plane life and wishful thinking, and unconsciously distorts the facts to conform to such wishful thinking or to other less desirable thoughts which have gained a foothold in his mind. The other hormone influenced by Neptune thought-cell activity is parathyrin of the parathyroid glands. This controls the calcium metabolism of the body, and in combination with other hormones ruled by Mercury, Uranus, Neptune and Pluto, controls the type of electrification. The influence of Neptune thought cells upon the secretion of parathyrin together with the negative pineal hormone is to develop a condition in the nerves and the electrical currents they generate which gives rise to great hypersensitivity. Objective consciousness may remain quite alert and exercising control, and the wavelengths of the electrical energies radiated are shorter than any others except those induced by the activity of the Pluto thought cells. But they operate on the negative phase, which means that they are especially adapted to making of the nervous system and the electrical energies which flow over it a receiving set for picking up the astral radiations of any person or object which is tuned in on. They permit so easy a flux of feeling that the nerves acting as a receiving set easily tune in on whatever is thought about, or even pick up the vibrations of things which are accidentally tuned in on. These wavelengths seem particularly well adapted also to permit whatever vibrations are thus picked up to cause their source to be seen, heard, tasted, smelled or felt by objective consciousness. The one heavy drawback to such hypersensitivity, whether cultivated or merely induced through the thought-cell activity mapped by powerful aspects involving Neptune, is that it makes it difficult to keep from feeling keenly many disagreeable conditions, not only of the physical plane, but also of the inner plane. Intellectual ESP avoids this difficulty, and is equally as effective in gaining information. The health difficulties which discordant Neptune thought cells attract are due to negativeness, to hypersensitivity, or to poisons. They depress and neutralize both adrenaline and cortin, and thus commonly when an individual is ill from infection or from a contagious disease, in addition to an aspect involving Mars there is also one involving Neptune. To counteract the hypersensitivity the diet should contain ample calcium, vitamin D and vitamin B-1. But in addition to foods designed to stabilize and strengthen the nerves, there are two other factors that should be given attention. One is the tendency to negativeness, and the other is the tendency to become poisoned. When the adrenal glands are removed from an animal it exhibits all the symptoms of poisoning because adrenaline and cortin are not present to neutralize the toxins. Of all the foods, meat is by far the most toxic, and requires the most cortin to handle. Thus it is, as Neptune depresses such secretion, that many people with Neptune unusually prominent in their birth charts, and a corresponding weak cortin supply, find their health depends upon a meatless diet. And at such times as Neptune is afflicted by progressed aspect, care should be taken not to overload the system with proteins, even of vegetable origin. It is well recognized in astrological practice that a severely afflicted Neptune may incline to the use of drugs and narcotics. These, of course, are extreme instances. But under a progressed affliction involving Neptune, a narcotizing effect may develop through the excess eating of protein foods, especially meat. That is, due to low output of cortin the in complete metabolism of the proteins may poison the body. On the other hand, the aversion to proteins which the system may be unable to handle may easily lead to a diet deficient in energy production. Negativeness and lack of aggressive energy are far more frequently observed when Neptune is afflicted than is toxic poisoning. Proteins, to the extent they can be properly handled, are stimulating. Being ruled by Mars, they are difficult for Neptune to handle; but to the extent they can be used without difficulty, they tend to offset the negativeness of an affliction involving Neptune. Only experience will indicate the exact extent to which they are beneficial. Yet irrespective of the amount of protein that can be used, there is always a necessity present when Neptune is severely afflicted to maintain a high energy production. And for this purpose the diet should be varied and well balanced. The tendency is for a diet to be attracted which is deficient in fuel values, or one which is decidedly unbalanced. The system to develop the electrical potential to overcome the tendency to negativeness must have a nourishing and well-balanced diet. Neptune thoughts are fanciful and visionary, with a tendency to find escape from the harsh restraining walls of reality in a mental realm devoid of hardship. Thus their natural antidotes are the practical, laborious, painstaking Saturn thoughts which face hardship and work and the harsh realities of life as a matter of course. To apply these Saturn thoughts the habit should be formed of giving the attention to the practical problems of life, and whenever ideas involving projects of great magnitude, or impressions that seem of much importance enter the consciousness, to displace these by careful and logical thinking about what is, and what is not, practical in the light of past experience. Such thoughts cultivated for the definite purpose of neutralizing the discords of the Neptune thought cells will enter into combination with the Neptune thought elements, and the resulting thought-cell activity will then prove more fortunate. Yet as Neptune thoughts are essentially negative, it is quite as essential, or more so, to insure that the energies flow outwardly, instead of permitting the outside condition to cause the flow to be in upon the self. And for this purpose Sun thoughts and maintaining a feeling that the energies of the mind and body are slightly pressing outward while holding thoughts of power, vitality and self-respect are best. 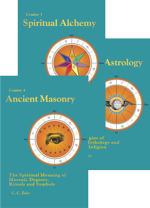 As the use of harmonious Sun thoughts to overcome the tendency to negativeness was explained in detail in reference to neutralizing discordant Saturn thought cells, there is no need to repeat this explanation which is equally applicable to overcoming the tendency to negativeness due to Neptune thought-cell activity.